When most people think of credit card perks, they think of low-interest rates and rewards. Sure, those are awesome, but many credit cards come with additional perks that cardholders may not be aware of. Taking advantage of these perks can help you get more out of your credit card and may save you money in the process. How annoying is it to purchase an item at one price and then see it advertised for a lower price just a few days later? 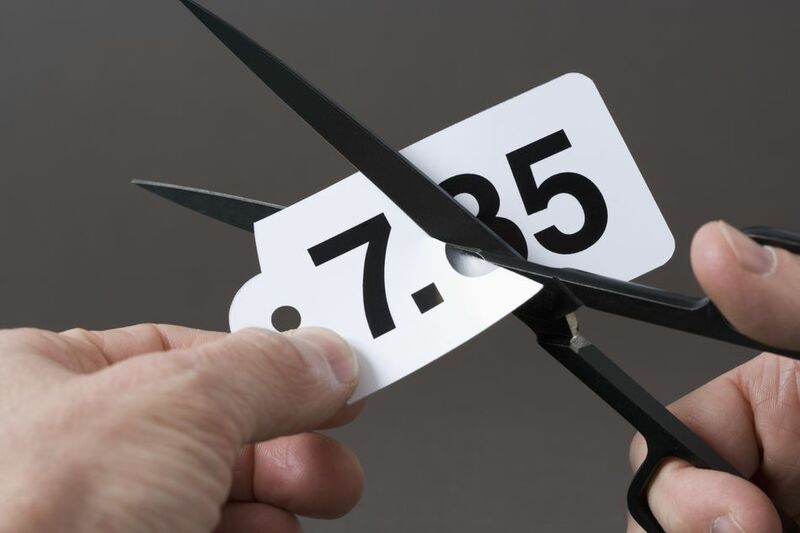 If you purchased that item with your credit card, you may be able to get the price difference refunded through your credit card's price protection benefit. The lower-priced item has to be identical to the one you purchased. Price protection isn’t automatic. Depending on your credit card, you may have to register the item when you purchase it or file a claim to receive the price difference. You may also need your receipt or a credit card statement containing the purchase. The time frame ranges from 60 to 90 days depending on your credit card. There may be a limit to the maximum benefit. For example, Discover offers price protection up to $500 per claim and $2,500 per year. Certain items may not be covered like consumable goods, jewelry, rare items, motorized vehicles, and items advertised as buy one get one free. A few credit cards with price protection: All Discover cards, All Citi Cards, certain MasterCards, Chase Sapphire Preferred, and Chase Freedom. It’s such a bummer to buy something and to later have it damaged or stolen. Good news if you purchased the item with a credit card: you may be eligible for purchase protection. You’ll probably need ​your receipt and credit card statement showing the purchase. If the item was stolen, you’ll also need a police report. The item must have been purchased within the past 90 days, or 120 days for MasterCard (except for New York residents). All four major credit card networks offer some form of purchase protection, but the exact benefits may vary depending on your credit card issuer. You don’t have to register for the protection; you only need to make a claim to receive the benefit. Coverage is secondary to any other insurance you have. For example, you must file a claim with your primary insurance company before seeking benefits from your credit card issuer. Some credit cards offer presale tickets to cardmembers. While you may not save money on the ticket prices, you’ll at least get a chance to purchase in-demand tickets before the general public does. This gives you a chance to grab good seats or get your tickets before the event is sold out. The benefit varies by event, may be offered only to cards issued by certain companies, and may require you to purchase tickets through Ticketmaster using your eligible credit card and a promo code. When you rent a vehicle, you’ll almost always be asked to sign up for supplemental insurance coverage. You can save money on your total rental price by declining this coverage and if you rent with a major credit card, you’ll still have coverage. All four major credit card networks offer at least some rental car insurance, but you must charge the entire cost of the rental to your credit card and decline whatever insurance is offered by the rental company. Make sure you check with your credit card issuer to confirm your credit card includes the insurance for the type of vehicle you’re renting. Exotic, expensive, antique cars, trucks, vehicles with open beds, and off-road vehicles aren’t covered by any of the four major networks. American Express doesn’t cover certain SUVs. Coverage is excluded for rentals longer than 31 days and many international rentals. Check out CardHub.com’s Rental Car Insurance Study for a breakdown of rental coverage across the four major networks. Read your credit card agreement to get specific details on rental insurance for your specific credit card. If your credit card offers lost luggage protection, your lost or stolen luggage is covered if you funded the entire purchase with your credit card – tickets purchased using rewards miles may not be eligible. Checked and carry-on luggage may be covered up to a certain amount, e.g. $3,000 for Visa Signature credit cards. The coverage is secondary to any primary insurance you may have and any benefits offered by the carrier. Certain items may not be covered or may have maximum coverage amounts, such as eyeglasses, items shipped before the travel date, money, credit and debit cards, business items, jewelry, and cellular telephones. You’ll need several pieces of documentation to file a claim and receive the benefits. This includes the claim form, a copy of the credit card statement with the purchase, your itinerary or boarding pass, checked luggage tags, and other documentation as requested by the card network or your credit card issuer. You can turn down the extended warranty offered by the retailer when you’re paying for a major appliance or electronic with a credit card. Many credit cards add an additional year to the manufacturer’s warranty, but you must have purchased the item with your credit card. There’s no signup or registration required, but you must keep your receipt. Once you file a claim, the credit card network will decide whether to replace, repair, or reimburse you for the item. MasterCard and Discover don’t cover failure caused by wear and tear. American Express and Visa will cover items that were purchased refurbished. Some items may not be protected. Store return policies may prevent you from taking an item back to the store after a certain timeframe. Some credit cards will refund purchase prices when the store won’t take your return, but up to a certain amount and within a certain timeframe. Discover will refund the purchase up to $500 on eligible items within 90 days of the purchase. Citi offers a 60-day return guarantee up to $250 per returned item and up to $1,000 per year. American Express will refund the full purchase price on eligible items within 90 days of the purchase date up to $300 per item and maximum of $1,000 per card per calendar year. Certain items may not be eligible for return protection. Keep in mind you have the right to dispute billing charges for merchandise that was never delivered or that was not in the condition you expected when you received it. You have 60 days to dispute these charges in writing. If you have to cancel, delay, or interrupt a trip, you may be able to recoup some of the costs, as long as you put the trip on a credit card that offers trip cancellation insurance. Chase Preferred, for example, reimburses cardholders up to $10,000 if a trip is cancelled or cut short by sickness, severe weather, or another covered situation. Most people miss these credit card perks because they're included in the credit card agreement—a long document that immediately gets tossed or filed away. Keep in mind, these perks vary by credit card issuer. Pull a copy of your credit card agreement from your credit card issuer's website to see what great perks you may have missed out on. The next time a merchant won't resolve a product issue or you have to cancel a trip, turn to your credit card to recoup the costs.